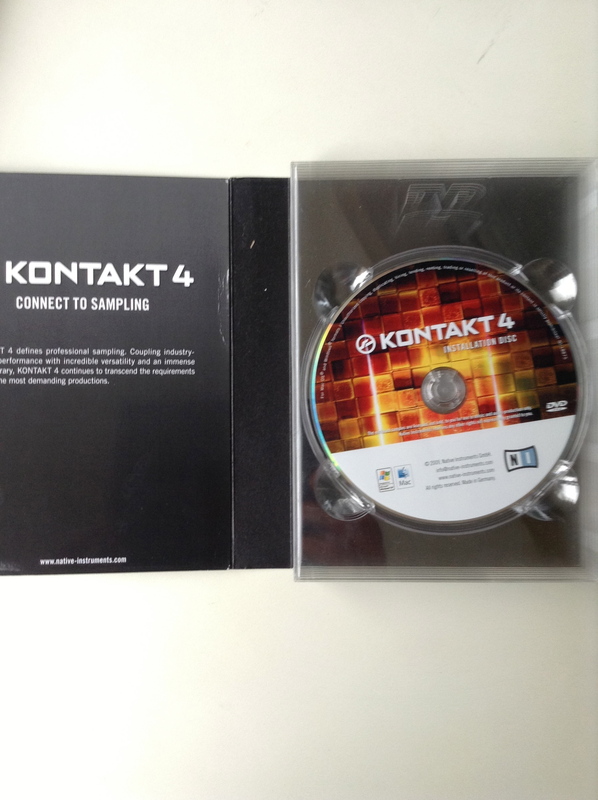 Kontakt 4, Virtual Sampler/Sample Player from Native Instruments in the Kontakt series. Kontakt is my one and only sample player. It's a strong and versatile program and after using it for about 7-8 years I'm still learning more and more about how powerful this thing is. I generally use Kontakt as a plug-in and outside of some occasional samples I've programmed myself in some of Logic's synthesizers, I use Kontakt exclusively for sample playback, editing, and creation. Most projects I've done start with me opening a multi-channel instance of Kontakt and loading up the sounds I need. For a complete beginner it might take a bit to realize the full potential of this program, such as the sample editing capabilities and using the multi-channel aspect to save CPU, but it's generally straightforward. Once it's loaded up, all you have to do is find your sounds and double-click. The Kontakt sound libraries themselves are pretty decent although not the best. The orchestral samples are very flexible and controllable, but just don't sound that great. However, they can be effectively utilized mixed-in with more professional samples for a bigger, fuller spectrum of sound. I find the strings, for example, to be a bit harsh but that can be great if you want to boost the upper frequencies of a more dull string patch, or a synth pad. In the end, there are some decent sounds in there but you have to go looking. The best thing is to separate all the sounds that really excel into another folder for easy access. Besides being a great sample player, Kontakt has been really useful to me in creating and editing my own samples. You can drag and drop any audio file into the Kontakt interface and it is immediately mapped out and pitch shifted onto the midi keyboard. After that you are free to edit the audio in so many different ways and add other audio files as well to make an entire sample collection in one .nki file. I've used this function to create my own sample libraries of percussion instruments that I've collected over the years and I've already started on some cool flutes and other wind instruments I've got lying around as well. It's an incredibly easy process and can also be really useful for sound design. You can drag any audio audio at all in and then mess with it as much as you want. Sometimes the results of random experimentation can be quite useful. I really can't see any big cons to this software, I'm just such a fan. There isn't much it can't do and there are seemingly endless possibilities. 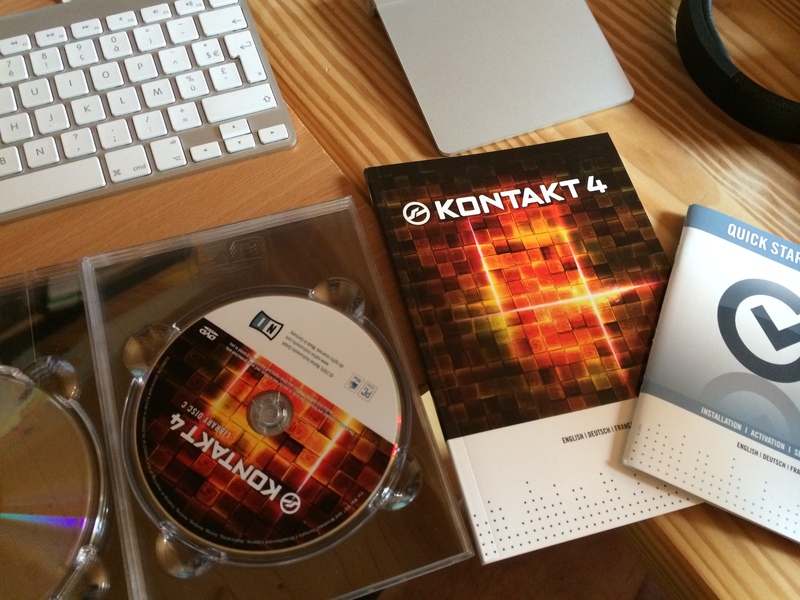 MGR/mtebaldi's review"Native Instruments Kontakt 4"
Kontakt is a software sampler made by the German-founded company, Native Instruments. I started using Native Instrument products only recently and quickly discovered (and should warn you) that their awesomeness should be described as addictive. Kontakt 4 is one of a series of their products in their virtual instruments catalog that have me hooked. 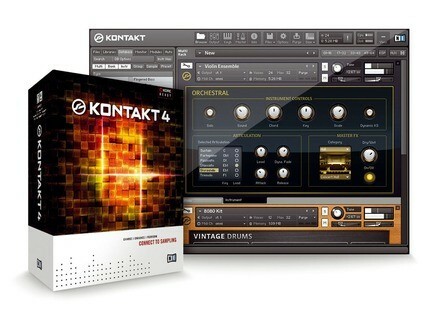 Kontakt 4 is priced at $399 or $149 (in the event that you are already an owner of a previous version, lucky bast**d). Instead of buying just Kontakt 4 alone, I would recommend investing a few more bucks and purchase the Komplete 7 bundle ($559), which comes with Kontack 4, includes many other sound libraries and other instruments, and is worth every penny. There are many aspects on which Kontakt 4 stands out. First off it comes with a beautiful and grandiose library under 7 different main categories (Band, Choir, Orchestral, Synth, Urban Beat, Vintage, World), which contains subcategories of almost every instrument under the sun. The sound quality of these samples is amazing and super realistic. Each instrument comes with a wide variety of sound tweaks so you can achieve all your sound goals. I have to point out that the Orchestral instrument is so far my favorite, with a stunning collection of orchestral instruments, which includes ensembles and solos. Its interface is clean, intuitive, and (most importantly) powerful. But, of course, quality always has a price, and the price you pay for Kontakts its CPU usage. Make sure to have a vast amount of RAM if you are going to run a few of these Native Instruments at the same time (and I bet you will). Oh the Germans relationship with sound technology seems to be a match made in heaven. 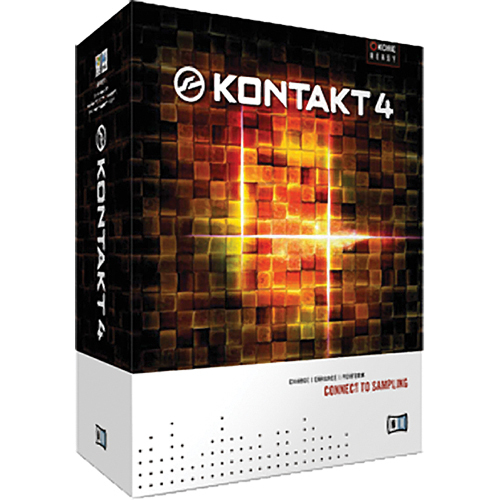 Beautifully conceptualized, designed and created, Kontakt 4 is a solid sound-making machine. Kontakt is an amazing tool for producers, composers, songwriters and sound designers. A collection of beautifully crafted virtual instruments with an almost infinite path to wherever your creative mind wants to tread. No issues during installation, although it takes some time due to the sound library DVDs. Stable with w7 64 bit and Cubase 5. I don't use much the internal sounds, the ones provided by Zero G,heavyocity and co. are much better, and you can even download some of them for free! Chater-La's review"The standard for a reason!" What I like most about this plugin is the the "memory Allocation" feature. Everything I run on my computer is still in 32 bit mode which means programs have a general limit of 4gb or ram. When I work in Ableton and Logic, I notice my ram filling up quickly when using multi sampled instruments. The memory allocation lets you bypass the Ram limitation in your Host and use an alternate pathway that allows you to designate up to 4gb of separate ram to Kontakt while still in your host. This is huge and makes up for OSX not being fully up to 64 bit. Other things I want to mention is Kontakt can get some really low latency while still running tons of sounds. I love that the most as I perform using Ableton which seems to me to always have a little latency no matter how low I go with the buffer. For synths, it's not a big deal but for Keys (piano, rhodes, etc....) any latency will through off my timing. Now for performance I run Kontakt as a stand alone and can reap all the benefits of that low latency. I paid around $400 for Kontakt 3 and another $120 for the update to 4. It's pricy but worth it as it blows away most of my hardware samplers in all aspects. Sound quality is very good. I use Scarbee Keys patches and I am always getting compliments on my key sounds. I have used EXS 24 in Logic 9 and my Emax mainly before getting this. I would definitely recommend this to folks and would buy it again if needed.